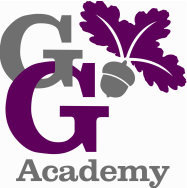 This centre is situated on the George Grenville Academy site, and offers support services for all children under 5 years and their families in Buckingham and the surrounding areas. Services are generally free and provided for all families regardless of circumstances. Having a child is demanding, fun, tiring, rewarding and lots of hard work and this is where Buckingham’s Children’s Centre can help you. The centre is part of a growing network providing a wide range of services and activities for children and their families. These include play activities to help children’s development and learning, health information and support for parents and childminders. We offer many services throughout the week designed for parents-to-be, babies, terrible twos, tricky threes and fidgety fours, all of which are friendly and relaxed with the opportunity to meet new people. We also help with those everyday problems of bringing up a child; finding out what benefits you are entitled to and helping you get back into work. If you would like more information about the centre & the services provided please contact Ann Winsor or Laura Caddick on 01280 821467 or Buckinghamshire Family Information Service on 0845 688 4944.